The following article describes how to copy an existing planned/scheduled sample to other locations within the same task. 2.Select one sample to copy. 3.Click Copy on the sample toolbar . •The selection of locations that the sample will be copied to. •Modification of the MAG assignment to copies of the sample. All sample parameters are copied, except SAMPLE_ID and SYS_SAMPLE_CODE. Note: * The "disable location selection" option was removed from SPM 6 to ensure that the Completeness Reports function correctly. To plan samples whose locations may not be known until the sampling event is underway, create a virtual location to which you can assign samples of a particular type. 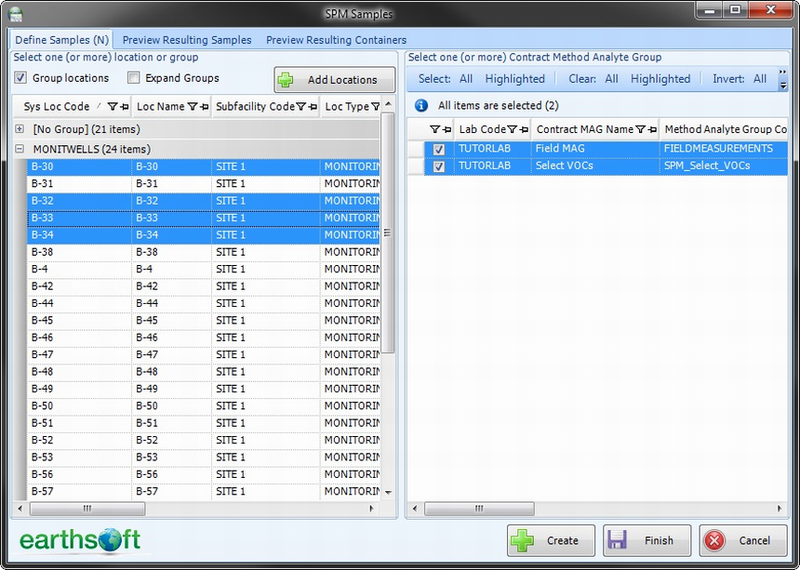 These samples can still be tracked by the Completeness Reports when the QC Types parameter is used, but are not incorrectly assigned to any real locations in SPM. For example: assign all field duplicate samples (sample type of "FD") in a task to a location with sys_loc_code="FD-01". When running the Completeness - Detailed Report, select the sample type "FD" in the QC Types parameter. This will cause the Completeness Report to correctly understand that the planned field duplicates were collected, even if from actual locations instead of the planned "FD-01" virtual location. 2.Change the MAG assignment (optional). Note: At least one MAG assignment must be made. 4.Review the created samples and copy more if needed (optional).